India’s indigenous cattle population has fallen by 8.9 per cent between 2007 and 2012 even as the numbers of exotic/crossbred cows and female buffaloes have gone up by 28.8 and 8 per cent respectively, according to the Agriculture Ministry’s latest Livestock Census. Disturbing though this may seem to some, the trend is a reflection of rational economic choices made by farmers. Traditionally, cattle and buffaloes were reared for the following purposes — draught power for agricultural operations, dung for manure and fuel, and milk. The advent of tractors, chemical fertilisers and LPG cylinders/kerosene has undermined the first two roles; as a result, farmers use bovines mainly as milch animals. This has resulted in a premium on female animals; not surprisingly, the decline in male animals between 2007 and 2012 is much sharper at 18.8 per cent for cattle and 17.9 per cent for buffaloes. 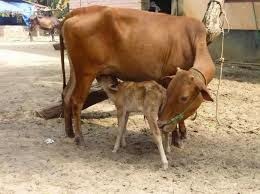 Even within females, indigenous cattle lose out not only to their crossbred counterparts that yield more milk, but also to buffaloes that produce milk with higher fat content. So, farmers find it far more attractive to maintain buffaloes and cows containing genetic material of ‘western’ breeds such as Holstein Friesian and Jersey. The rising price of milk has only tilted the economics further in favour of these animals. Only a little over a fifth of the country’s milk now comes from indigenous or desi cows; at the current rate of decline, they are threatened with total marginalisation. One can draw a parallel here with many of our traditional tall wheat or paddy cultivars that have been displaced by semi-dwarf high-yielding varieties in the post-Green Revolution era. The only way to arrest marginalisation of desi cattle as well as crop varieties is to make them worthwhile to rear or grow. Solutions such as strengthening laws against cattle slaughter aren’t going to work; if anything, these will further disincentivise farmers as they are left with no viable mechanism for disposing animals that have either stopped giving milk or are male. A more realistic approach is to undertake systematic breeding and genetic upgradation of our finest indigenous cattle. Some of these breeds — Sahiwal, Red Sindhi, Gir, Kankrej and Rathi — are, in fact, good milk producers. An organised effort at conservation and propagation of elite germplasm from nucleus breeding herds will go a long way in making rearing desi cattle more economical for farmers. The present government has done well to announce a new Rashtriya Gokul Mission that aims at the development, preservation and conservation of indigenous cattle breeds “in a focused and scientific manner”. This, rather than appealing to religious sentiment and traditionalism, is the most effective strategy to save our endangered desi species. Their ultimate saviour can only be the humble Indian farmer.